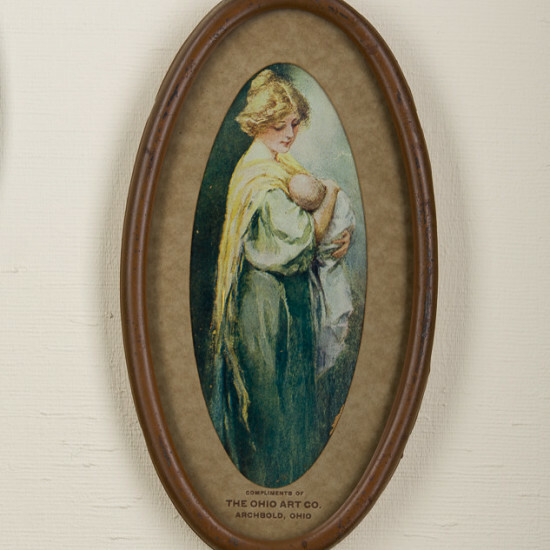 The Ohio Art Company was started in 1908 by Dr. Henry S. Winzeler, a dentist in Archbold, Ohio, who sold his practice because he was convinced novelty manufacturing held great promise for him. 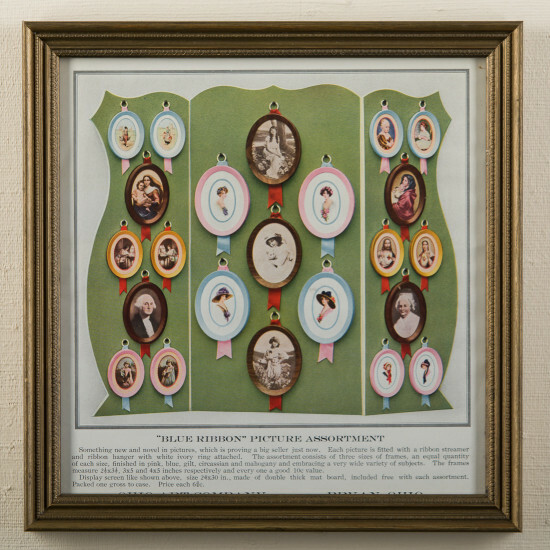 Renting part of a band hall and employing 15 women, the company was soon shipping picture frames to all parts of the country, as well as Canada and Mexico. Business grew rapidly and Dr. Winzeler needed a larger plant. Through the efforts of local citizens and the Chamber of Commerce, enough money was raised to build a new factory and lure The Ohio Art Company to a new location – Bryan, Ohio. With larger quarters and better shipping facilities, the firm continued to grow. Metal picture frames were being turned out at 20,000 per day. 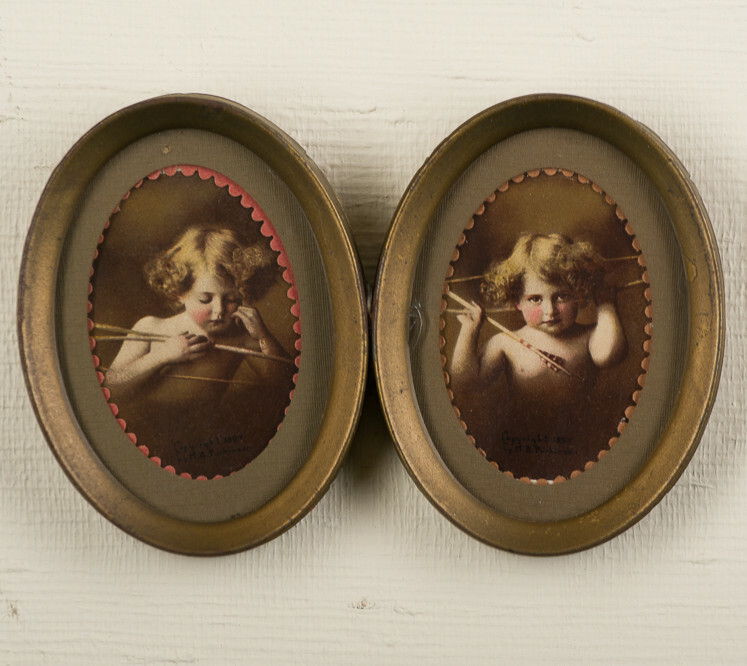 Though many different pictures were being reproduced and framed, by far the most popular was the famous “Cupid Awake” and “Cupid Asleep”. 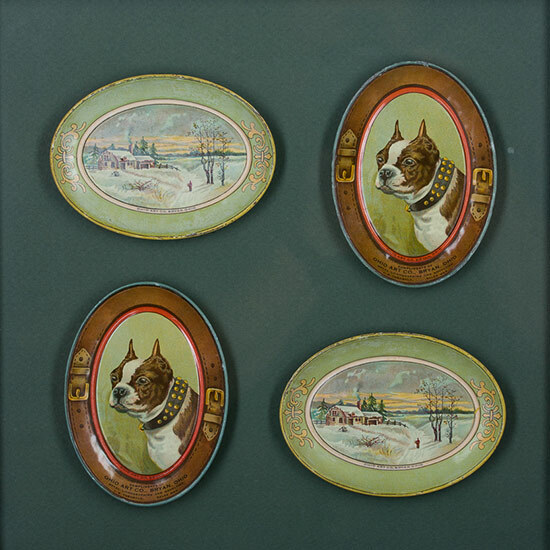 More than 50 million sets adorned the walls of American homes in the first half of the 20th century. Soon after the move to Bryan in 1912, the company installed metal lithography equipment, an addition that would shape the company’s future. New items began to appear; advertising signs, scale dials and a few small wagons, representing the beginning of a long and successful run in the toy business. When WW1 halted the flow of German toys to this country, American manufacturers had a tremendous opportunity to surge forward. Quick to realize this, Dr. Winzeler increased his line of toys and toy parts and business boomed. A quality (and very popular) tea set line was introduced, and in 1923, sand pails appeared. In the early 1930’s, Ohio Art was one of the very first companies to license a character from Walt Disney for a toy; Steam Boat Willie, the precursor to Mickey Mouse. 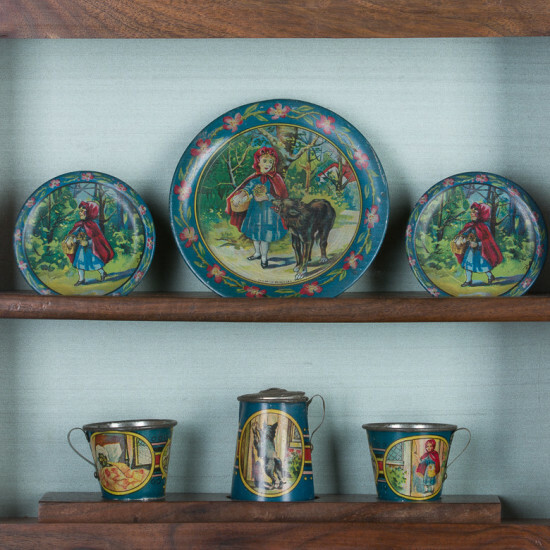 Other successful early metal lithographed toys included tops, shovels, farm houses, drums, globes, checker sets and more. As plastic toys began to replace metal lithographic toys, Ohio Art diversified once again. Soon they had a large portion of the Kodak film canisters business, as well as a very popular novelty signs and tray making operation. Licensing popular brands such as Coca-Cola, Campbell’s Soup, Budweiser and Nascar, the Ohio Art lithography business flexed to market demand and continued to flourish. One of the reasons for the company’s success today is its outstanding reputation for quality metal lithography, begun early in the company’s history. In addition to toys, the lithography division continues to be recognized for its commitment to innovative, high quality metal decorating. In fact, Ohio Art has won 16 internationally recognized awards since 1997. As we look toward the future, we will continue to expand our manufacturing capabilities to keep pace with market demand.